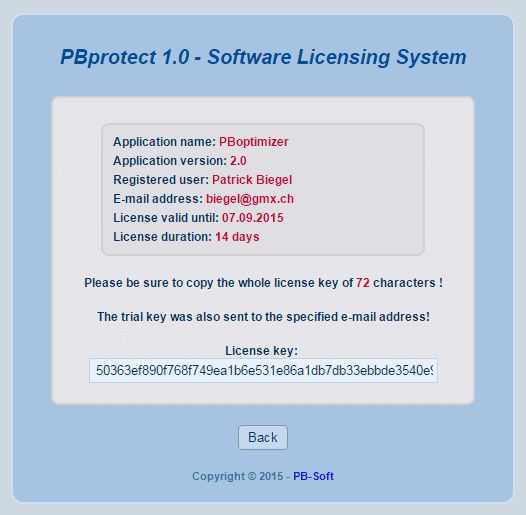 The PBprotect tool is a licensing application for AutoHotkey applications. It can generate and check licenses and therefore protect the software from unlicensed use. 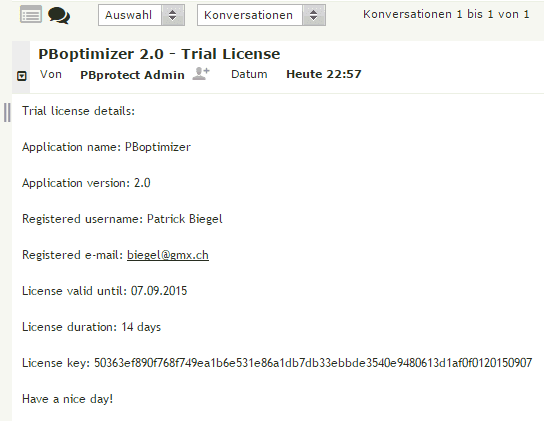 There is also a web interface to generate trial license keys. Compile all PBprotect executables for this product with the Batch scripts develompent\Compile_X.bat. 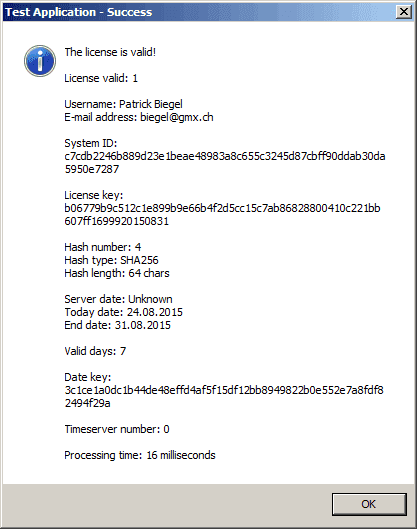 Use the executables to create a system ID, license key, and enter the license key. Check the default example application Application.exe with the source: Source\Application.ahk. Check the mini example application Mini_Appl.exe with the source: Source\Mini_appl.ahk. Edit the configuration of the PBprotect web interface pbprotect\web\pbprotect\config\config.php. Upload the whole directory pbprotect\web\pbprotect to your webhost (needs PHP installed). 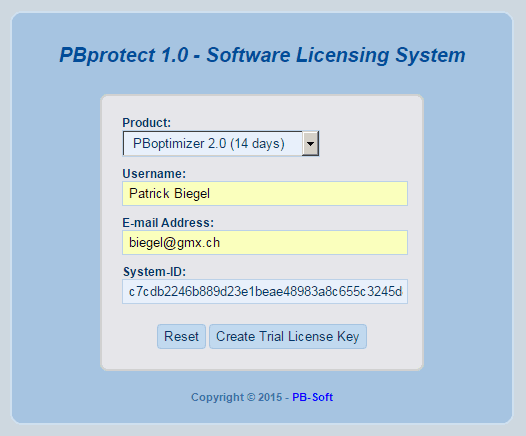 Display the page pbprotect/pbprotect.php and enter the details to generate a trial license. The PBprotect tool is licensed under the MIT License (Expat) which is published on the official site of the Open Source Initiative.